Update 9/1/2018: The facilities are now operated by a new entity, 2126790 Alberta Ltd (also known as Sugar Swing Community of Jazz). We now sublease the space from them, along with other users. During this transition, we act as an agent to help rent/lease the space to other users. Sugar Swing Ballroom is located at a beautiful facility just of Whyte Avenue at 10019 – 80 Ave. We recently acquired this new venue and are excited to share our beautiful home with you! The venue consists of two sizeable halls available for rent. The main floor is 1800 sqft with a kitchen/bar and three washrooms. The second floor is 1400 sqft with a kitchenette, four washrooms, a powder room (in progress), shower, staff room, and our offices. Each dance hall will be divided by a soundproof moveable wall, which will allow up to 4 studios for use for artists during the week. 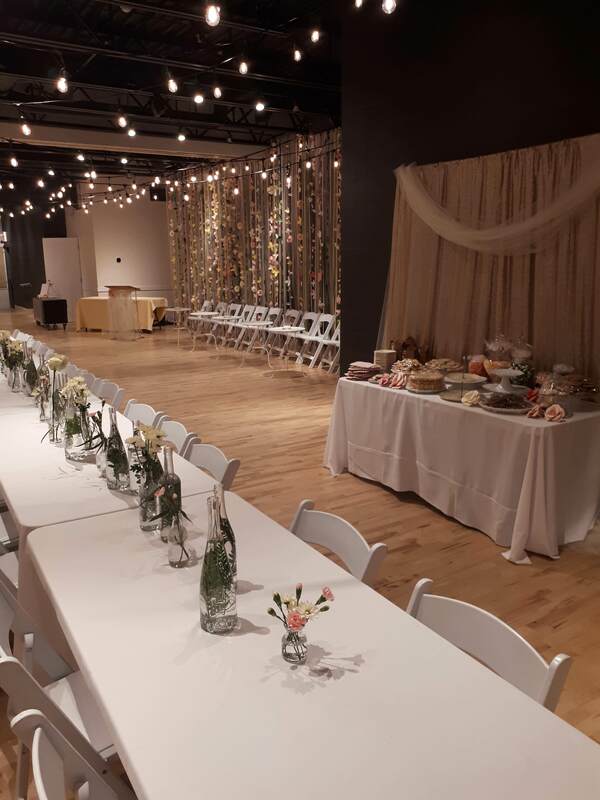 On weekends, the space is ideal for evening receptions, day rentals, wedding parties, concerts, dance workshops, theater performances, and church services. During the week, the venue is best suited for dance classes, band and performing rehearsals, yoga, and more. Please contact rentals@sugarswing.com for availability, rates, and to book viewing [email preferred]. We are currently considering both short and long-term rental contracts! Regular Rates: Divided into Day Rates, Blocks, and Hourly Rates. You book off the space, and it’s yours guaranteed. Practice Rates: These are much lower than our regular rates, but the space is not guaranteed. The space is still available to anyone who books with our regular rates. Our practice rates are ideal for artists who need a space to rehearse. Please contact rentals@sugarswing.com for rates information. Practice Sessions and Rehearsal Rates — The ballroom is available to individuals and small groups to enjoy as a dance and arts rehearsal space, at a significantly discounted rate than a full rental. As dancers, we support the arts and understand the financial constraints that artists often face. However, booking using practice rates comes with a couple of limitations. First, if your group is more than 3 people, then a nominal additional charge applies per person. Second, your booking is termed “semi-booked”; within 24 hours, you have the space secured. BUT, we are free to cancel your booking if outside of 24 hours. We would contact you, give at least 24 hours notice, and give you the opportunity to upgrade your rehearsal booking to a rental.